We recently talked about the benefits of HIIT workouts on an exercise bike – but a study has shown there’s an advantage we didn’t mention: improved running speed. So if you’re the type of runner that hates the monotonous nature of a stationary bike, you might want to give it another try! 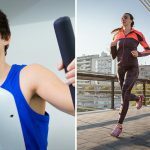 In the study, the researchers recruited 32 runners. Each averaged at least 25 miles per week, so they were experienced long-distance runners. The participants were given a treadmill test to establish their initial running level. During the intervals each participant was told to give maximum effort. There was no holding back. After completing the six sessions of HIIT workouts, each participant had another treadmill test. Interestingly, the groups that rested for 80 seconds and 120 seconds did not see an improvement in their running times (along with the control group). Group #1, which rested for 30 seconds, did improve their times by an average of 3%. As this was a 3km test, the improvement correlated to an average reduction of 25 seconds. So why did only group #1 improve their times? The researchers think this is because the shorter rests didn’t allow the participants heart rate to return to normal. This meant each interval was progressively harder than the last. In contrast, the runners were generally fit enough to almost fully recover with an 80 second or 120 second rest. Most surprisingly, it only took six sessions of HIIT cardio with six intervals to gain a significant improvement in running speed. Each workout also only lasted 15 minutes, including warm up and cooling down. If you want to quickly improve your running speeds, a HIIT workout with maximum effort intervals and relatively short rest times appears to be one of the fastest ways to do so. Considering the workouts take less than 15 minutes, this type of training could be a great way to improve your performance without increasing your running schedule. The key is to choose a rest interval that’s too short for your body to fully recover. 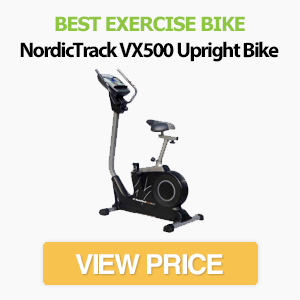 It’s also vital to not hold anything back during the intervals (make sure you use a high-quality exercise bike that’s heavy enough not to topple over). While the study was completed on an exercise bike, there doesn’t seem to be a reason why the same results couldn’t be achieved with other types of cardio. The authors recommend a bike workout, however, as this could reduce the chance of developing an overuse injury. There are plenty of questions still to be answered though. Is 10 seconds the optimal interval length or would a longer sprint provide more scope for improvement? How should the workout be adjusted for less experienced runners? And how often should the HIIT workout be performed for the most benefit? Hopefully these questions are answered in follow-up studies. This was only a small study – but it seems to hint that HIIT workouts on an exercise bike could improve running performance. The workouts in the study were short, so could be well-worth the time investment for beginner and experienced runners alike.